Our Speaker Alberto Bernal has been called by the Vice Minister of Hacienda of the Republic of Colombia to attend an urgent meeting of the five member “Capital Markets Reform Commission” in which Alberto is part of this Commission, on April 23rd and 24th in Boston. Based on this update, Alberto Bernal will address IERG members instead on Monday April 22 on the same important topic “Political and Economic Outlook of the Latam Majors – Brazil, Mexico, Argentina and Colombia”. Alberto Bernal is Chief EM and Global Strategist at XP Investments, the largest and only financial supermarket in Latin America, with a network of more than 1.500 independent financial advisors located in 450 offices nationwide across 180 cities. 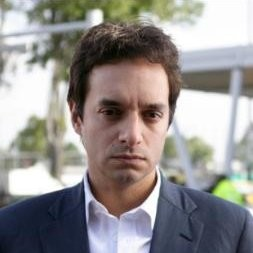 Previously Alberto was Head of Research and partner at Bulltick, LLC, MD of Emerging Fixed Income Research at Bear Stearns Inc. in New York City, responsible for covering the Mexican, Colombian, Venezuelan, Argentinean, and Ecuadorian economies. He was Head of Latin America economic research at IDEAglobal Inc. in New York City, where he conducted in-depth economic analysis on the Latin America region and was Head of Latin America Economies. Alberto was named one of the future top 40 executives less than 40 years by the Latin American publication Revista Poder, one of the top ten regional minds by the IADB, and one of 100 Latin America leaders under 40 by the Revista Gerente. Our meeting will be held at Savills Executive Conference Room on the 28th Floor located at 333 SE 2ND Avenue, Well Fargo Center, at 12 PM on Monday April 22. Lunch will be provided at this event. Please confirm, if you already know now you will attend the meeting which will be helpful for planning of seating and lunch arrangements.